Internationally known Roya Razavi, provides psychic Turkish Coffee Readings to clients over the phone. She uses cups of specially blended Turkish coffee to immediately see details of a person’s past, present and future. Her intuitive gifts, and long-time experience as a life coach, allow her to provide deep insights and life recommendations based on specific dates, names or other spiritual messages she receives. Her services are ideal for relationship and marriage predictions, business advice or anyone going through a life transition. To arrange a reading, email SeeBeyondTheCup@gmail.com or call (845) 598-3909. 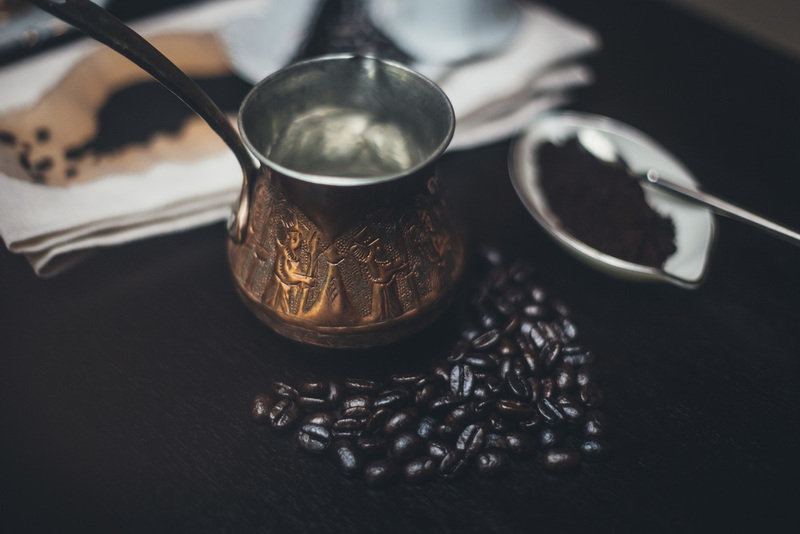 Learn details of the ritual of Turkish coffee reading, and what to expect from a typical session. Roya passes down this centuries-old tradition, her intuitive abilities focused by a near tragedy. 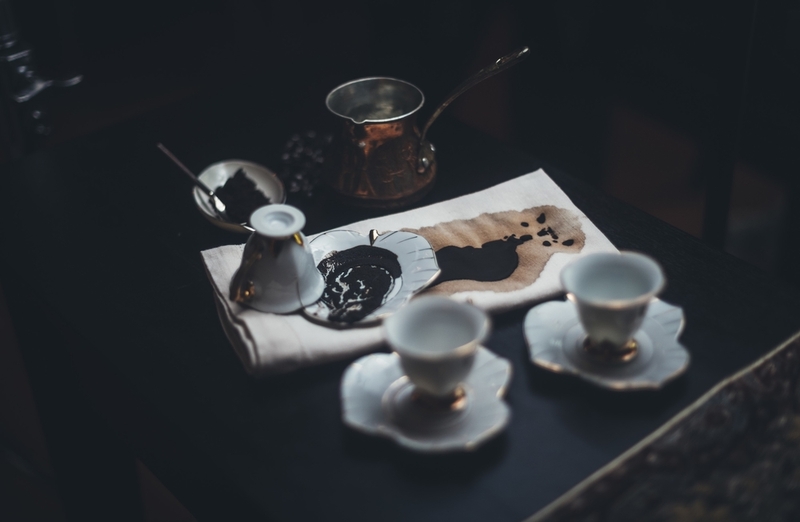 The Turkish coffee reading starts with the querent (the person seeking his or her fortune) drinking a cup of fine-ground coffee from a ceramic teacup with a saucer. This is also referred to as the art of tasseography. While drinking the coffee, the querent should attempt to achieve the right state of mind for the fortune telling to be meaningful and accurate. He or she should be relaxed, focused, and open to the experience. As the coffee is consumed, fine ground sediments are left to settle. It is the sediments remaining on the bottom of the cup that are used in the reading. Once the coffee has been consumed, the ritual begins. The saucer is placed on top of the cup, the cup is turned and then flipped. The upside-down cup is then left to cool on the saucer, the cup is removed, and the grounds are revealed. Roya interprets the residual grounds in the cup and on the saucer. Symbols are revealed in pattern of coffee grounds. These symbols are powerful and can deliver insights into the past as well as indications of future happenings. Next, the querent makes a wish or asks a specific question, and then uses the left index finger to mark the grounds at the inside bottom of the cup. This mark can illuminate the outcome of the wish or answer the question. Most sessions last from 30 to 45 minutes, and can be repeated as often as weekly or monthly depending on the querent’s needs. Roya is a spiritual advisor and intuitive life-coach who uses the ancient art of coffee cup reading or tasseography to guide her clients. She lives and works in New York and has clients both nationally and internationally. Growing up, Roya often watched her mother engage in this ancient tradition. Eventually, she herself began to develop her own reading abilities and for many years she shared her gift with friends and relatives. Roya contemplated this message for months. One day, while doing a coffee cup reading for a friend, she suddenly remembered her spiritual teacher’s words. Roya realized that she should share her gift to help guide others in need of illumination. While Roya does conduct single session readings, she usually continues working with her clients, guiding them on a regular basis throughout the course of months and often years. Her readings are unique in that she remains in contact with her clients and coaches them in both professional and personal aspects of their lives. Roya believes that change and growth are complex processes that require time, commitment, and constant reevaluation. Therefore, Roya coaches and consults with her clients throughout each step of their individual journeys, facilitating deep, meaningful growth, and systemic change in the lives of her clients. Thank you for an inspiring and insightful reading of my life in coffee grounds. You showed an astounding ability, looking deeply into the patterns of my path, and provided clarity and understanding about the challenges I am facing. Our chance encounter that became a full-blown reading was beautiful in its synchronicity. Everything you said was a reflection and confirmation of what I already know in my heart. Plus you gave some powerful medicine for reconciling apparently insoluble problems. I was 21 years old when I first met Roya in Beverly Hills, California where I was a hair extension specialist in a top salon which Roya was a Consultant. Being so young, I was very nervous at the thought of working in such a prestigious salon. Roya was the first person who took the time to get to know me and she made me feel so welcome. We became great friends and 23 years later, although now in different countries, we are still very good friends. Roya had a major impact on my life, not just because she was such a good friend but because we both shared some very life changing experiences together. Roya seemed to have the uncanny knowledge about where my life seemed to be heading before I even knew that it was about to change. This also was at a time when Roya had no idea where her own intuition was coming from. She would often express to me how the feelings, dreams, thoughts that she was having were “freaking her out” but she explained that she had no control of how she was feeling and the information she was intuiting and she embraced it. I recall one morning, she asking me if I had heard from an out-of-touch friend. When I said no, Roya said “It feels like you have already, but if you haven’t, you can be sure you will very soon.” I thought this both impossible and a bit silly and went about my day. Before the end of that day, I received my chilling phone call from my long lost friend, who had spent weeks trying to track me down through former friends and employers. I was thrilled but stunned to say the least. These incidents seemed to happen with Roya on a day-to-day basis and she would regularly confide in me about how often these occurrences would take place with absolute strangers. This was not something that Roya welcomed very easily and took a very long time to accept her very special gift. Over the next few years Roya told me many things in unbelievable detail about my life, one being that I would be married before the end of the year when at the time I didn’t even have a boyfriend. She proved herself right, — an ex-boyfriend made a sudden appearance in my life out of the blue and within 6 months I was married. I could go on and on about what she intuits and how things do happen as she suggests, but the main thing with Roya is that the knowledge she gleans, her visions, are completely and uncannily accurate – the details are really on Pointe. Roya has a way in which she reaches beyond obvious and day-to-day events and instead taps into the real issues or lessons behind the incidents to uncover what’s really going on in a person’s life. Roya helps me look at things more from a spiritual level. There are times in a person’s life when the world seems a bit crazy. In just those times it seems we are faced with decisions that are very difficult. At any other time they may seem like simple problems to be solved and they are just that. Recently, I was faced with a decision to make and there was so much going on in my life and in the lives of the people around me, that I could not see the forest through the trees. I was going round and round with this situation. Making lists of the pros and cons, the likes and dis-likes and getting absolutely nowhere. Her thoughtful words that meant so much to me shined a light through the trees and into the forest. Her kind words gave me such clarity, I was at peace. I could finally rest, for the first time in weeks. It was like I finished a marathon, in a good way! Roya is a wise woman with an exceptional gift of insightfulness…. My journey with Roya began during a period of my life where I felt I needed to seek deeper guidance. I was quite familiar with culture of coffee readings, but nothing like I had experienced with Roya. Our initial reading was quite in depth and I was in complete awe at how she able to pick up on details about the situation and my characteristics. Roya’s readings intertwine your past, present and future in a way that is almost unimaginable until events start unfolding before your eyes in the same exact manner. She removes all doubt from your mind and addresses your issues in a positive and non judgmental manner. It doesn’t end there.. she is truly concerned with your growth as an individual and ensuring that whatever your situation is that you “love, honor and respect yourself” and “live your life fearlessly”. Roya has been there every step of the way for me and I have come a long way from our first reading thanks to her guidance. I am truly grateful to have found someone who is genuinely concerned for my well being and pushes me to strive for the best. I look forward to continuing on this great journey of life with her profound guidance.